Hello friends, Today I will tell you a method on how to delete a Twitter account permanently. You can completely remove Twitter account. All your Twitter account data will be deleted from the Twitter database. 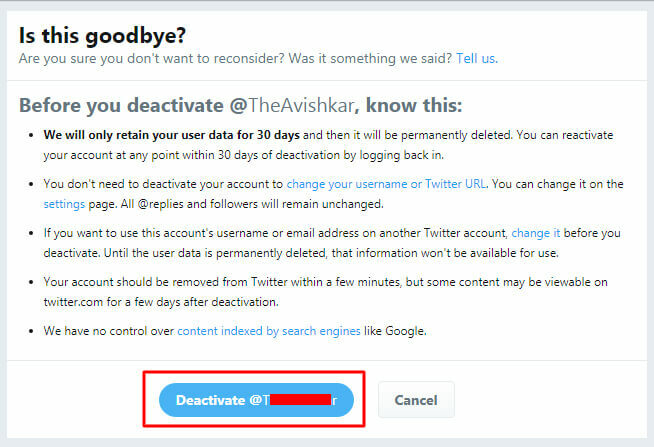 Users can permanently delete their Twitter account using this method. It will also remove all your tweets and other information from Twitter. Have you decided to delete your Twitter account permanently? Well, if your answer is yes, then this article is for you. In this article, I will be showing you the official method to delete a Twitter account permanently. Moreover, if you are done with Twitter, then you must be probably looking for the way to delete your Twitter account permanently. Right? So, this guide is for you guys. 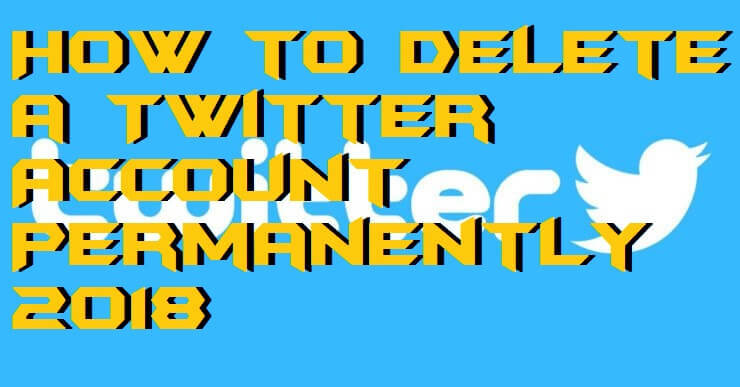 But, before starting this quick guide to delete a Twitter account permanently let’s have a look one some point which we must check out before deleting our Twitter account. If you are using Twitter app on your smartphone and want to delete your Twitter account, then you can’t do it. Twitter hasn’t provided this facility to app users to delete a Twitter account. Moreover, your Twitter account will not be deleted immediately. So, some of your Tweets and posts will remain for 30 days. Thus, make sure you delete all the tweets and posts from your Twitter account before deleting your Twitter account permanently. Also, you can save your Twitter account from being permanently removed by logging in to your account within 30 days. After 30 days, you won’t be able to view your Twitter account because it will be deleted. The reason behind deleting your Twitter account can be anything. But, the method to delete a Twitter account is same. However, we are going to talk about that method in this article. To remove a Twitter account, you have to follow these steps. These steps are straightforward so that anyone can quickly follow this quick guide to delete his/her Twitter account. Moreover, before removing your account make sure that you have taken all the necessary things out from your Twitter account. Also, remember that you do not log in to your Twitter account within 30 days of deletion. So, are you ready to delete a Twitter account? Let’s gets started. Open Twitter’s official website on a web browser. Now, log in to your account. 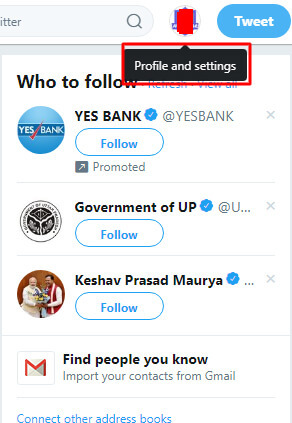 Then, click on Profile and Settings which your profile picture located at the top right side of your account’s home page. Now, click on Settings and Privacy. At the Account tab, scroll down and click on the Deactivate your account button. On the next page, click Deactivate@yourusername. Now, a popup will open, enter the password and click Deactivate account. That’s it. Your Twitter account will be deleted within 30 days permanently. This is the most straightforward method ever to delete a Twitter account. Using this official way any Twitter user can delete his/her account permanently. However, you will be able to make an archive your account as a backup file. But, try to delete every single thing after getting your backup file from Twitter. Also, make sure that you do not open your Twitter account accidentally otherwise the account deletion will be reset, and your account will not be deleted. I hope this method found to be helpful for you to delete a Twitter account. 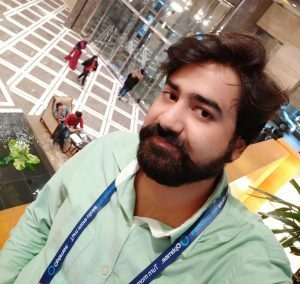 Share this article with your friends too who want to delete his/her Twitter account.